Turkish ground troops have crossed into the Syrian enclave of Afrin as part of an operation against Syrian Kurdish armed group YPG, Prime Minister Binali Yildirim announced. In a press conference in Istanbul on Sunday, Yildirim said Turkish forces had crossed into the YPG-controlled region in Syria at 08:05 GMT from the Turkish village of Gulbaba. He added that Turkey plans to establish a 30km “safe zone” in Afrin. 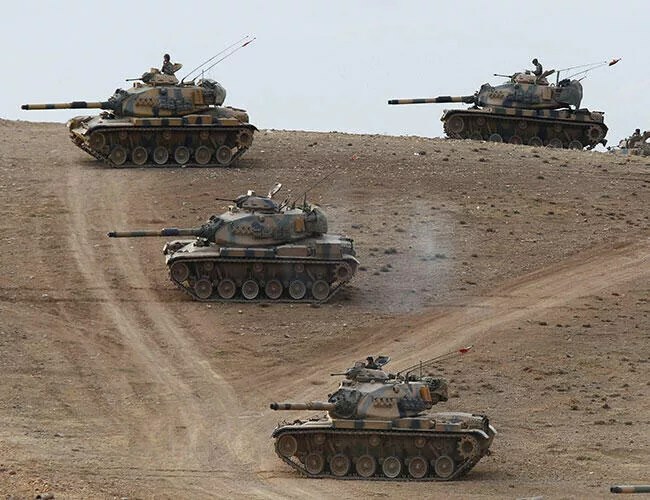 Turkish news agency Anadolu reported that the Turkish forces were backed by armoured vehicles, special forces and infantry regiments. They have reportedly advanced five kilometres inside Afrin. Confirming the Afrin operation, President Recep Tayyip Erdogan said on Sunday he hopes it will be completed “in a very short time”. But Erdogan also warned pro-Kurdish opposition supporters in Turkey not to protest against the military’s operation. “Know that if you go out on the streets, authorities are on your necks,” he told thousands of supporters in Bursa. Earlier, Anadolu also reported that Turkish-backed Free Syrian Army (FSA) fighters had advanced towards Afrin in the early hours of Sunday. 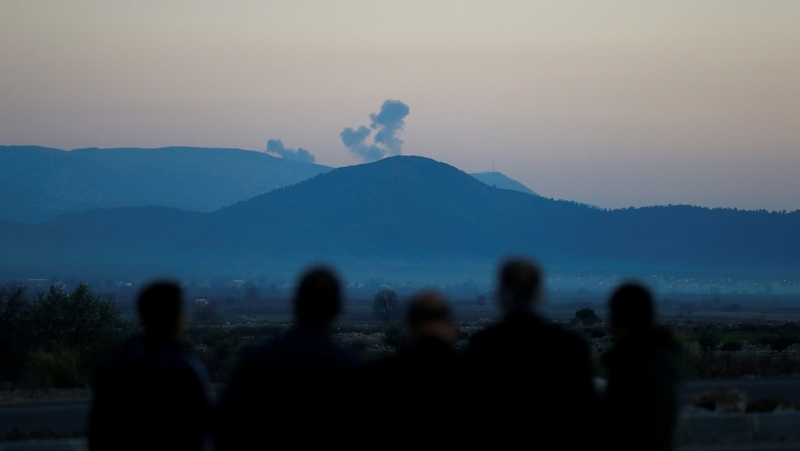 The YPG confirmed the advance, saying two villages in Afrin’s Bilbil district near the Turkish border came under attack. As early as Friday, thousands of FSA fighters had already been mobilised in Turkey’s Hatay province and Syrian locations east of Afrin. On Saturday, Yildirim had said Turkish ground troops were likely to join in the Afrin operation as early as Sunday. He said that “depending on developments, our ground units will perform the necessary activities”. The first phase of the operation conducted by Turkish air forces destroyed “nearly all” targets, he told reporters on Saturday. At least 72 fighter jets were reportedly involved in the operation. So far, the operation has killed at least six civilians, as well as two female and one male Kurdish rebel fighters, according to the YPG. At least 13 other people were injured. Turkey’s military said on Sunday it targeted at least 153 “shelters, hideouts and ammunition depots” of the Kurdish armed groups, as well as the Islamic State of Iraq and the Levant (ISIL, known as ISIS)group in several areas. But the YPG said that civilian areas were also hit, including Afrin’s city centre. Meanwhile, three rockets have been reportedly fired from Syria, hitting four locations in two neighbourhoods in the Turkish province of Kilis. Anadolu quoted Provincial Governor Mehmet Tekinarslan as saying that three people were injured in the attack. Turkey considers Syria’s Kurdish Democratic Union Party (PYD) and its armed wing, the YPG, “terrorist groups” with ties to the banned Kurdistan Workers’ Party (PKK), which has waged a decades-long fight inside Turkey. Ankara fears the establishment of a Kurdish corridor along its border. Turkey’s military has been hard-pressed in emphasizing that “only terrorists” are being targeted in its latest operation. 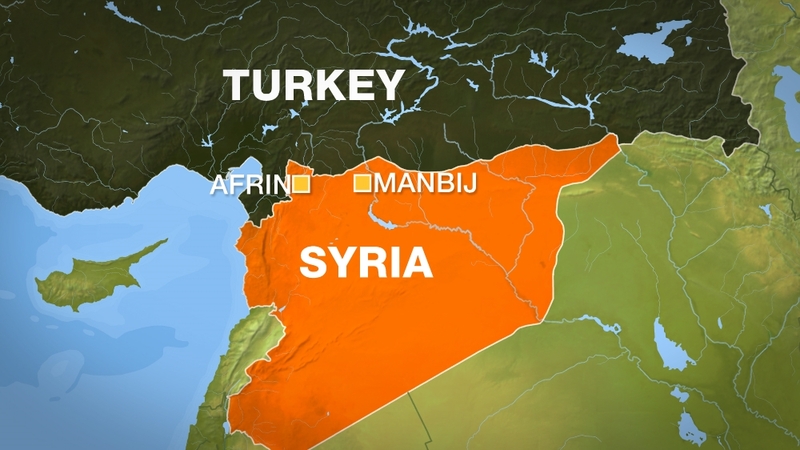 On Saturday, Erdogan said the operation in Afrin would be followed by a push in the northern town of Manbij, which the US-backed Kurdish forces captured from ISIL in 2016. The US has previously armed the Syrian Kurdish YPG, viewing it as the most effective ground force in its fight against the ISIL armed group. Erdogan said that all Kurdish armed groups “are all the same” and that changing their names “does not change the fact that they are terror organisations”. According to estimates, there are between 8,000 to 10,000 Kurdish fighters in the Afrin area. Al Jazeera’s Stefanie Dekker, reporting near the Syria-Turkey border, said the military and logistical buildup at the border continues. She also reported hearing intensive shellings, heaving machine gun fire and jets flying over. Russia, which controls the airspace over Afrin, has withdrawn hundreds of its soldiers deployed near the city before Saturday’s operation. Inside Afrin, AFP news agency reported that the bombing raids sent residents in panic. A curfew has been imposed in the city, and civilians were banned from gathering in public, while businesses and schools were ordered closed, the report said.